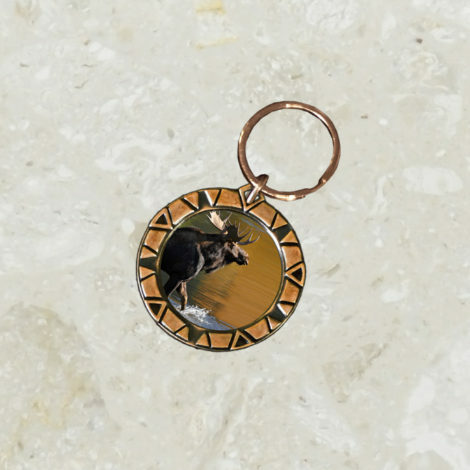 Metal key chain with 3 color choices: antique gold, pewter or copper. 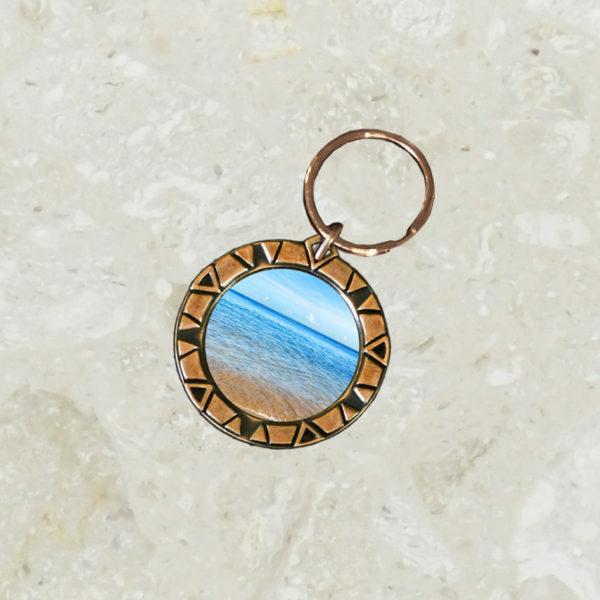 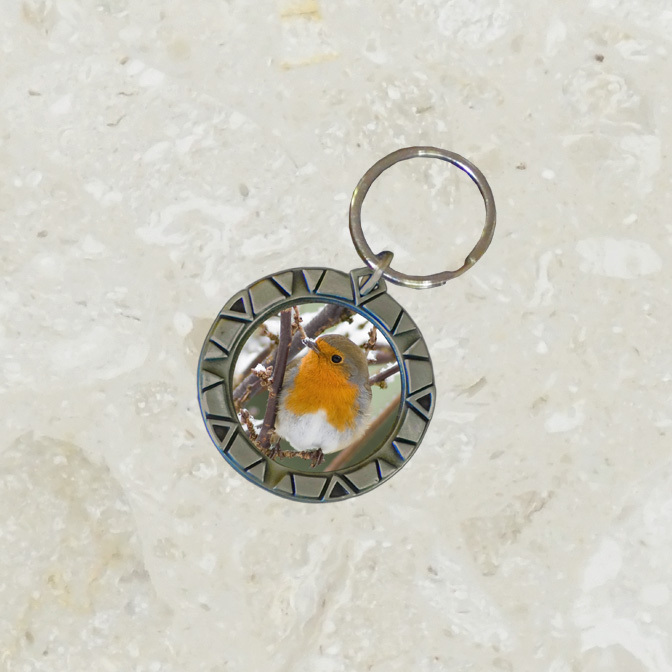 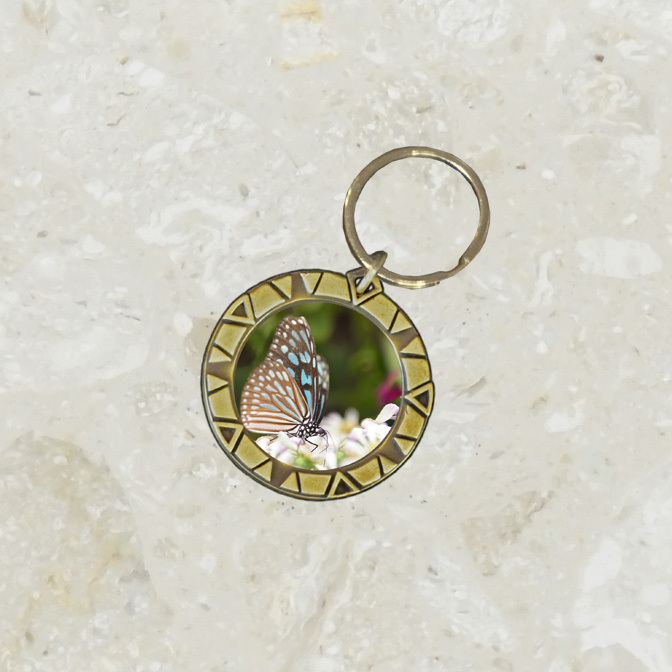 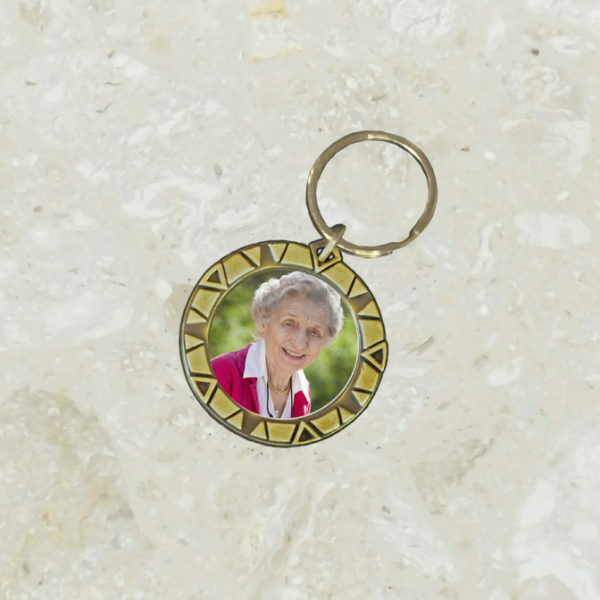 Shown here with the antique gold key chain and customized image. ***Certain conditions apply for the customization of this key chain. 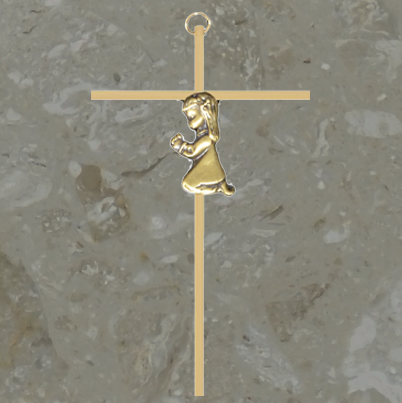 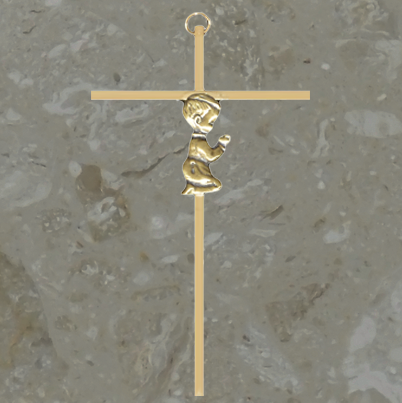 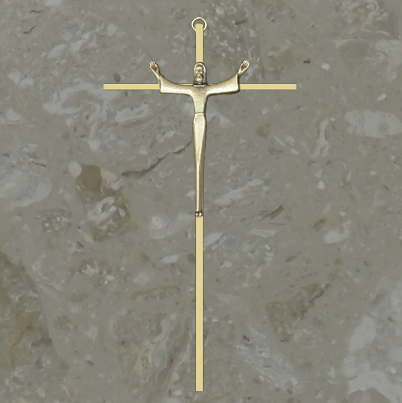 Gold plated crucifix with antique gold plated figure. 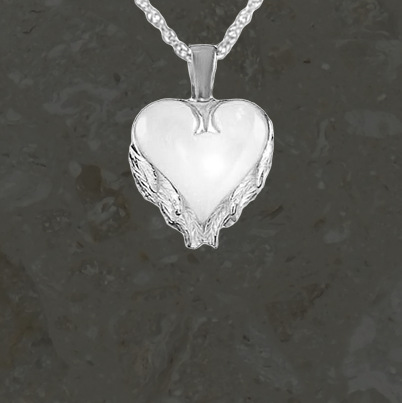 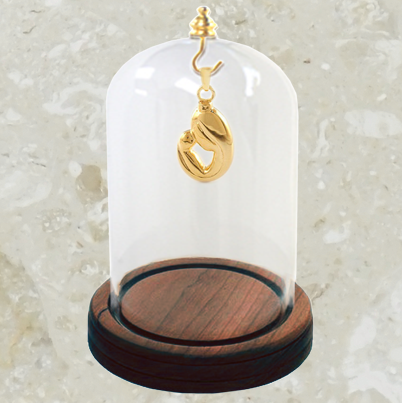 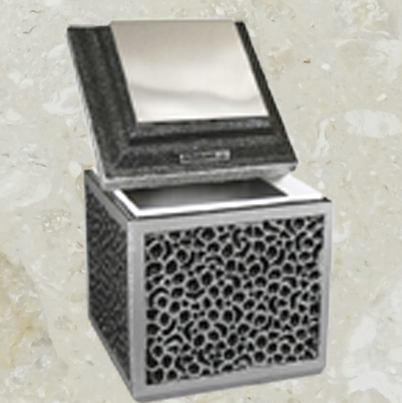 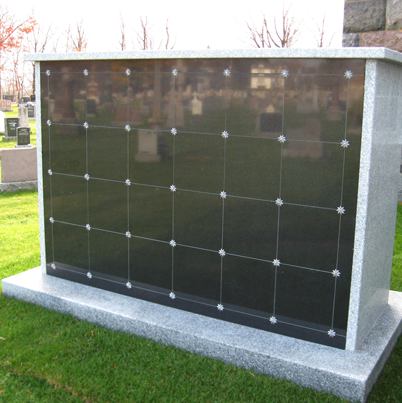 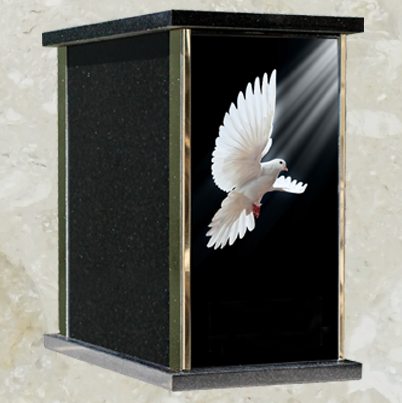 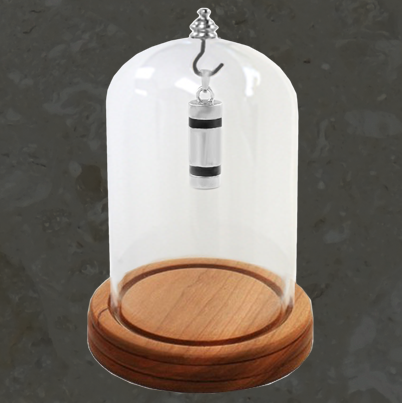 This glass dome is an elegant way to display a reliquary jewelery.